Comparison of Moisturising Creams for the Prevention of Atopic Dermatitis Relapse. A Randomised Double-Blind Controlled Multicentre Clinical Trial. Åkerström U. Reitamo S, Langeland T, Berg M, Rustad L, Horhonen, L, Loden M, Wiren K, Grände M, Skare, P, Svensson Å. Acta Derm Venereol, 2015;95:587-92. Lodén M, von Scheele J, Michelson S. The influence of a humectant-rich mixture on normal skin barrier function and on once- and twice-daily treatment of foot xerosis. A prospective, randomized, evaluator-blind, bilateral and untreated-control study. Skin Res Technol. 2013; 19, 438-445. Lodén M, Nilsson, G, Parvardeh, Neimert Carne K, Berg M. No skin reactions to mineral poweders in nickel-sensitive subjects. Contact Dermatitis.2012; 66: 210-214. Lodén M, Wirén K, Smerud K, Meland N, Hønnås H, Mørk G, Lützow-Holm C, Funk J, Meding M. Treatment with a Barrier-strengthening Moisturizer Prevents Relapse of Hand-eczema. An Open, Randomized, Prospective, Parallel Group Study. Acta Derm Venerol; 2010: 90: 602-606l. Wirén K, Nohlgård C, Nyberg F, L Holm L, Svensson M, Johannesson A, Wallberg P, B BerneB, Edlund F, Lodén M. Treatment with a barrier-strengthening moisturizing cream delays relapse of atopic dermatitis. A prospective and randomized controlled clinical trial. JEADV, 2009;23: 1267-1272. Buraczewska I, Berne B, Lindberg M, Lodén M, Törmä H. Moisturizers change the mRNA expression of enzymes synthesizing skin barrier lipids. Arch Dermatol Res, 2009; 301; 587-594. Wirén K, Frithiof H, Sjöqvist C, Lodén M. Enhancement of bioavailability by lowering of fat content in topical formulations.Br J Dermatol. 2009, 160:552-556. Buraczewska I, Berne B, Lindberg M, Lodén M, Törmä H. Long-term treatment with moisturizers affects the mRNA levels of genes involved in keratinocyte differentiation and desquamation. Arch Dermatol Res. 2009; 301:175-181. Buraczewska I, Broström U, Lodén M. Artificial reduction in transepidermal water loss improves skin barrier function. Br J Dermatol. 2007;157:82-6. Sahlin A, Edlund F, Lodén M. A double-blind and controlled study on the influence of the vehicle on the skin susceptibility to stinging from lactic acid. Int J Cosm Sci 2007; 29:385-390. Buraczewska I, Berne B, Lindberg M, Törmä H, Lodén M. Changes in skin barrier function by long-term treatment with moisturizers. Br J Dermatol 2007; 156: 492-498. Halvarsson K, Buraczewska I, Lodén M. Facial anti-wrinkle cream: influence of product presentation on effectiveness. A randomised and controlled study. Skin Res & Technol, 2007; 12: 189-194. Lodén M, Åkerström U, Lindahl K, Berne B. A Novel Method for Studying Photolability of Topical Formulations: A Case Study of Titanium Dioxide Stabilization of Ketoprofen. J Pharm Sci, 2005; 23;94:781-787. Buraczewska I, Lodén M. Treatment of surfactant-damaged skin in humans with creams of different pH. Pharmacology, 2005; 73:1-7. Lodén M, Bárány E, Mandahl P, Wessman C. The influence of urea treatment on skin susceptibility to surfactant-induced irritation: A placebo-controlled and randomized study. Exogen Dermatol, 2004;3:1-6. Lodén M, Kuzima N, Nyrén M, Edlund F, Emtestam L. Nickel susceptibility and skin barrier function to water after treatment with a urea-containing moisturizer. Exog Dermatol 2004; 3: 99-105. Kuzmina N, Nyrén M, Lodén M, Edlund F, Emtestam L. Effects of pre-treatment an emollient containing urea on nickel allergic skin reactions Acta Derm Venereol 2004; 84:1-4. Lodén M, Åkerström U, Lindahl K, Berne B. Bioequivalence determination of topical ketoprofen using a dermatopharmacokinetic approach and excised skin penetration. Int J Pharm. 2004; 284: 23-30. Lodén M, Buraczewska I, Edlund F. Irritation potential of shower oils before and after use. Br J Dermatol, 2004; 150: 1142-1147. Lodén M, Buraczewska I, Edlund F. The irritation potential and reservoir effect of mild soaps. Contact Dermtitis, 2003; 49: 91-96. Duval C, Lindberg M, Boman A, Johansson S, Edlund F, Lodén M. Differences among moisturizers in affecting skin susceptibility to hexyl nicotinate, measured as time to increase skin blood flow. Skin Res & Technol 2003;9:59-63. Lodén M, Wessman C. Mascaras may cause contact dermatitis. Int J Cosm Sc, 2002; 24:1-4. Lodén M, Andersson A-C, Andersson C, Bergbrant I-M, Frödin T, Öman H, Sandström MH, Särnhult T, Voog E, Stenberg B, Pawlik E, Preisler-Häggqvist A, Svensson Å, Lindberg M. A double-blind study of the effect of glycerin and urea on dry, eczematous skin in atopic patients. Acta Derm Venereol 2002;82:45-47. Lodén M, Andersson AC, Andersson C, Frödin T, Öman H, Lindberg M. Instrumental and dermatologist evaluation of the effect of glycerine and urea on dry skin in atopic dermatitis. Skin Res & Technol, 2001; 7: 209-213. Jansson T, Lodén M. Strategy to decrease the risk of adverse effects of fragrances in cosmetic products. Am J Contact Derm 2001; 12: 166-169. Lodén M, Wessman C. The influence of a cream containing 20% glycerin and its vehicle on skin barrier properties. Int J Cosm Sc 2001; 23: 115-120. Bárány E, Lindberg M, Lodén M. Unexpected skin barrier influence from nonionic emulsifiers. Int J Pharm 2000; 195:189-195. Bárány E, Lodén M. Content of fragrance-mix ingredients and customer complaints of cosmetic products. J Am Cont Derm 2000;11:74-79. Lodén M, Bárány E. Skin identical lipids versus petrolatum in the treatment of tape-stripped and detergent pertubed human skin. Acta Derm Venerol 2000; 80: 412-415. Lodén M, Wessman C. The anti-dandruff efficacy of a shampoo containing piroctone olamine and salicylic acid in comparison to that of a zinc pyrithione shampoo. Int J Cosm Sc 2000; 22: 285-289. Bárány E, Lindberg M, Lodén M. Biophysical characterization of skin damage and recovery after exposure to different surfactants. Contact Dermatitis 1999; 40: 98-103. Lodén M, Andersson A-C, Lindberg M. Improvement in skin barrier function in patients with atopic dermatitis after treatment with a moisturizing cream (Canoderm®). Br J Dermatol 1999; 140: 264-267. Andersson A-C, Lindberg M, Lodén M. The effect of two urea-containing creams on dry, eczematous skin in atopic patients. I. Expert, patient and instrumental evaluation. J Dermatol Treat 1999; 10:165-169. Lodén M, Andersson A-C, Lindberg M. The effect of two urea-containing creams on dry, eczematous skin in atopic patients. II. Adverse effects. J Dermatol Treat 1999;10:171-175. Lodén M, Andersson AC, Lindberg M. The number of minor diagnostic features in patients with atopic dermatitis correlates with dryness severity. Acta Derm Venereol (Stockh) 1998; 78: 387-388. Lodén M. Barrier recovery and influence of irritant stimuli in skin treated with a moisturizing cream. Contact Dermatitis 1997;36: 256-260. Lodén M. Urea containing moisturizers influence barrier properties of human skin. Arch Dermatol Res 1996:288:103-107. Lodén M, Andersson AC. Effect of topically applied lipids on surfactant-irritated skin. Br J Dermatol1996;134:215-220. Lodén M, Boström P, Kneczke M. The distribution and keratolytic effect of salicylic acid and urea in human skin. Skin Pharmacol. 1995:8:173-178. Lodén M, Hagforsen E, Lindberg M. The presence of body hair influences the measurement of skin hydration with the corneometer. Acta Derm Venereol (Stockh) 1995:75: 449-450. Meijer J, Lodén M. Stability analysis of three UV-filters using HPLC. J Liq Chromatogr 1995; 18:1821-1832. Lodén M, Olsson H, Axéll T, Linde YW. Friction, capacitance and transepidermal water loss (TEWL) in dry atopic and normal skin. Br J Dermatol 1992;126:137-141. Lodén M, Olsson H, Skare L, Axéll T. Instrumental and sensory evaluation of the frictional response of the skin following a single application of five moisturizing creams. J Soc Cosmet Chem 1992; 43:13-20. Lodén M. The increase in skin hydration after application of emollients with different amounts of lipids. Acta Derm Venereol (Stockh) 1992: 72:327-330. Lodén M, Lindberg M. The influence of a single application of different moisturizers on the skin capacitance. Acta Derm Venereol (Stockh) 1991; 71: 79-92. Lodén M. The simultaneous penetration of water and sodium lauryl sulfate through isolated human skin. J Soc Cosmet Chem 1990;41:227-233. Lodén M, Bengtsson A. Mechanical removal of the superficial portion of the stratum. Corneum by a scrub cream: Methods for the objective assessment of the effects. J Soc Cosmet Chem 1990;41:111-121. Lodén M, Fayersson Y. The synthetic peptide GRF (1-29)-NH2 with growth hormone releasing activity penetrates human epidermis in vitro. Acta Pharm Suec 1988; 25: 27-30. Linde YW, Bengtsson A, Lodén M. ”Dry” skin in atopic dermatitis. II. A surface profilometric study. Acta Derm Venereol (Stockh) 1989: 69: 315-319. Lodén M. The in vitro permeability of human skin to benzene, ethylene glycol, formaldehyde, and n-hexane. Acta pharmacol et toxicol 1986; 58: 382-389. Lodén M. The effect of 4 barrier creams on the absorption of water, benzene, and formaldehyde into excised human skin. Contact Dermatitis 1986; 14: 292-296. Lodén M. The in vitro hydrolysis of diisopropyl fluorophosphate during penetration through human full-thickness skin and isolated epidermis. J Invest Dermatol 1985; 85: 335-339. Treatments improving skin barrier function. Lodén M. Curr. Probl. Dermatol. 2106:49:112-22. Hydrating substances. Lodén M. pp 93-102, In ”Handbook of Cosmetic Science and Technology”. 4th ed. Barel A, Paye M, Maibach HI (eds). CRC Press, 2014. Moisturizers in the Prevention and Treatment of Hand Eczema. Lodén M. pp 279-294. In ”Textbook of Hand Eczema”. Alikhan A, Lachapelle JM, Maibach HI,l (eds) Springer-Verlag, 2014. Moisturizers as Cosmetics, Medicines, or Medical Device? The Regulatory Demands in the European Union. 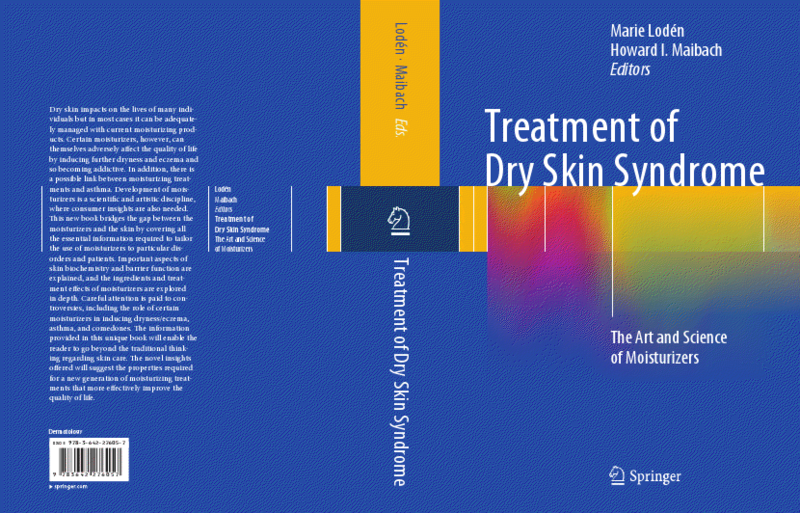 Sörensen A, Landvall P, Lodén M. pp3-16, in ”Treatment of Dry Skin Syndrome. The Art and Science of Moisturizers”. Lodén M, Maibach (eds), Springer, 2012. The use of urea in the treatment of dry skin. Lodén M, in Treatment of Dry Skin Syndrome. The Art and Science of Moisturizers”. Lodén M, Maibach H (eds), Springer, 2012. Effect of moisturizers on epidermal barrier function. Lodén M. Clin Dermatol. 2012; 30:286-96. Lodén M, Landvall P. Topical treatments: Pharmaceutical, medical device or cosmetic? Regulatory Rapporteur. 2011; 8: 22-25. Loden M,Hydrating substances. Pp 107-119, In Handbook of Cosmetic Science and Technology, 3ndedition, edited by André O. Barel, Marc Paye, Howard I. Maibach informa healthcare 2009. Lodén M. Prevention or promotion of dryness and eczema by moisturizers? Exp Rev 2008; 3:667-676. Lodén M, Ungerth L, Serup J. Changes in European Legislation Make it Timely to Introduce a Transparent Market Surveillance System for Cosmetics. Acta Derm Venereol 2007;87:485-92. Halvarsson K, Lodén M. Increasing quality of life by improving the quality of skin in patients with atopic dermatitis. Int J Cosm Sci 2007; 29: 69-83. Loden M,Hydrating substances. Handbook of Cosmetic Science and Technology, 2nd edition, edited by Marc Paye, A. O. Barel, Howard I. Maibach 2006, 2rd ed . Lodén M. Atopic dermatitis and other skin diseases. Pp 333-343. In: Bioengineering of the Skin: Skin Imaging and Analysis. Ed. Wilhelm KP, Elsner P, Berardesca E, Maibach HI. CRC Press Taylor & Francis Group, Boca Raton. 2006. Lodén M. Clinical evidence for the use of urea. Pp 211-225. 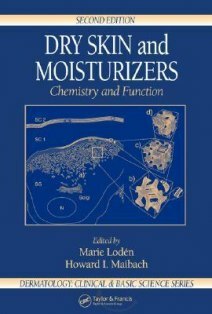 In: Dry Skin and Moisturizers: Chemistry and function. 2nd ed. Ed: Lodén M. Maibach HI. CRC Press Taylor & Francis Group, Boca Raton, 2006. Lodén M. Hydrating substances. Pp 265-280. In: Handbook of cosmetic science and technology. 2nded. Paye M, Barel AO, Maibach HI. CRC Press Taylor & Francis Group, Boca Raton. 2006. Lodén M, Lindberg M. Moisturizers and irritant contact dermatitis. Pp 445-453. In: Irritant Dermatitis. Chew A-L, Maibach HI (eds). Springer-Verlag, Berlin.2006. Lodén M. The clinical benefit with moisturisers. JEADV 2005; 19: 672-688. Loden M. Do moisturisers work? J Cosm Derm, 2004; 2, 141-149. Lodén M. Transepidermal water loss and dry skin. Pp 171-185, In: Bioengineering and the Skin. Water and stratum corneum. Fluhr J, Elsner P, Berardesca E, Maibach HI. (eds) CRC Press Boca Raton, USA. 2005. Lodén M. Hydration and Moisturizers. Pp. 295-306. In Bioengineering and the Skin. Water and stratum corneum. Fluhr J, Elsner P, Berardesca E, Maibach HI. (eds) CRC Press Boca Raton, USA. 2005. Lodén M, Lindberg M. Testing of Moisturizers. Pp 387-406. In Bioengineering and the Skin. Water and stratum corneum. Fluhr J, Elsner P, Berardesca E, Maibach HI. (eds) CRC Press Boca Raton, USA. Lodén M. Role of topical emollients and moisturizers in the treatment of skin barrier disorders. Am J Clin Derm, 2003; 4: 771-788. Lodén M. The skin barrier and use of moisturizers in atopic dermatitis. Clinics in Dermatology, 2002; 21: 145-157. Lodén M, Edlund F, Jansson T. Strategies to reduce contact allergy to fragrances. Cosmet & Toiletr, 2002; 117:39-45. Lodén M. Skin barrier function: Effects of moisturizers, Cosmet & Toiletr 2001; 116: 31-40. Lodén M. Efficacy testing of cosmetics and other topical products. IFSCC Magazine, 2000; 3:47-53. Lodén M. Urea. pp 243-250. In: Dry skin and moisturizers. Chemistry and function. Eds Lodén M, Maibach HI. CRC Press, Boca Raton, 2000. Lodén M. Moisturizers. pp. 73-96. In: Drugs versus Cosmetics: Cosmeceuticals, Eds Elsner P, Maibach HI. Marcel Dekker, New York, Basel, 2000. Lodén M. Keratolytics. pp 255-280. In: Dermatopharmacology of topical preparations, Eds Gabard B, Elsner P, Surber C, Treffel P. Springer-Verlag, 1999. Rogiers V, Balls M, Basketter D, Berardesca E, Edwards C, Elsner P, Ennen, Leveque JL, Lodén M, Masson P, Parra J, Paye M, Pierard G, Rodrigues L, Schaefer H, Salter D, Zuang V. Non-invasive methods and their potential use in safety assessment of cosmetics. ECVAM-EEMCO Workshop Report 36, ATLA 1999;27:515-537. Lodén M, Linde YW. Atopic dermatitis and other skin diseases. Pp 251-260. In Bioengineering of the skin: Skin surface imaging and analysis. Eds. Wilhelm KP, Elsner P, Berardesca E, Maibach HI. CRC Press, Boca Raton, 1997. Lodén M. Biophysical properties of dry atopic and normal skin with special reference to effects of skin care products. Acta Derm Venerol 1995; suppl 192: 1-48. Lodén M. 1995. Biophysical properties of dry atopic and normal skin with special reference to effects of skin care products. Acta Universitatis Upsaliensies, Comprehensive Summaries of Uppsala Dissertations from the Faculty of Medicine 521, 60 pp. Uppsala. Lodén M. Biophysical methods of providing objective documentation of the effects of moisturizing creams. Skin Res Technol 1995;1:101-108. Lodén M, Lindberg M. Product testing. Testing of moisturizers. pp 275-279. In: Handbooks of Skin Bioengineering, vol. 1. Water and the Stratum corneum, Eds. Elsner P, Berardesca E, Maibach HI. CRC Press, Boca Raton, 1994. Lodén M. Detection methods. pp 127-145. In: Methods for skin absorption, eds. Kemppainen BW, Reifenrath WG. CRC Press, Boca Raton 1990.